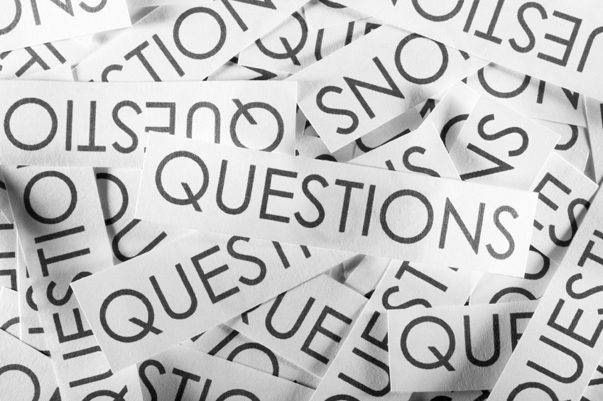 If your clients ask you questions, this post is for you. You also must be blogging for this to work. Don’t have a blog yet? Get on it! Because blogging for business and content marketing are taking over. This strategy will allow you to rank quickly for targeted keywords. Great news for those who are in a crowded marketplace and have too many competitors’ websites to leap frog in the search rankings. Continue reading to learn about an SEO strategy that will have profound results for your lead generation. Everyday people are turning to Google. They’re looking for your service. Most business owners and service providers know that. 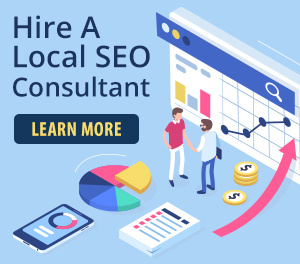 When they think SEO, they think people are searching for providers like “Los Angeles divorce lawyer” or “Pittsburgh life insurance”. People are searching those terms. A lot of them too. But the price and time to reach the top search results for those terms (keywords) is high. Also this strategy is cookie cutter in my opinion. Everyone targets those keywords. And that’s why it’s so competitive. You should aspire to stand out. Not follow the crowd. Let me introduce you to the SEO strategy that will yield profound results. I’m 95% certain your competitors aren’t using this strategy. Yes people are searching “Los Angeles divorce laywer”. But they are also searching to find out answers to their questions and problems. Answer those questions for them! The easiest way to do this is write down every question a client asks you. Also write down questions potential clients might be asking. What you do next is simply answer that question by writing a blog post about it. The keyword you then target is that question. So simple. What’s extremely beneficial about this is a qualified lead is landing on your blog post. They get their question answered and their happy. It doesn’t stop there though. Perhaps this question has other questions tied to it. If you have a ‘recommended posts‘ plugin or links to other blog posts in the blog post they landed on, they can read more of your blog posts. The longer they’re on your site, the better your chances are of landing that person as a client. That is of course if your website is properly optimized for generating leads. I read a great post on Marcus Sheridan’s blog last month. The topics were blogging and content. In the comment section I saw a wonderful testimonial for this SEO strategy. My next example comes from Insurance Agent and internet marketer Ryan Hanley. He did the exact same thing I’ve explained in this post for his companies blog and the results are astounding. 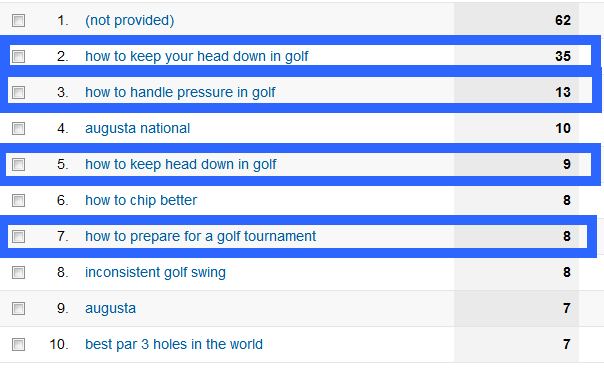 And lastly I want to show my Peerless Golf blog’s Google analytics report for July 2012. There is a slight problem with this SEO strategy which is known as targeting longtail keywords. But it can be easily overcome. You’ll be targeting people from all over the world. 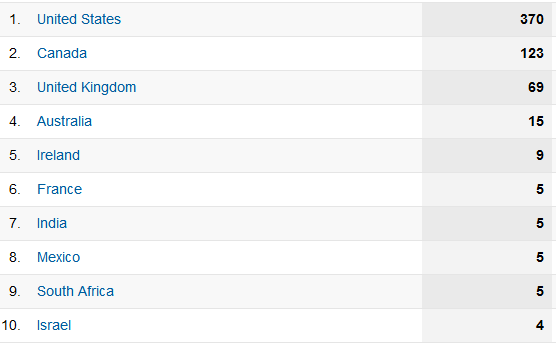 Here’s a screenshot of the visitors locations. Not exactly targeted. 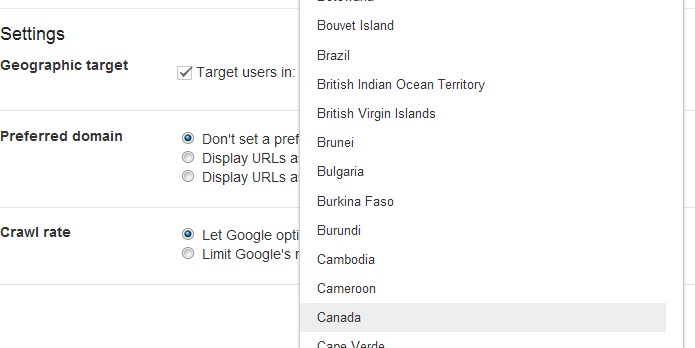 However I can easily change my settings through my Google Webmasters tools account to target searchers in a specific country. If you don’t have Webmaster tools setup, do it know by reading this post. So you’ll receive visitors from all over your home country. 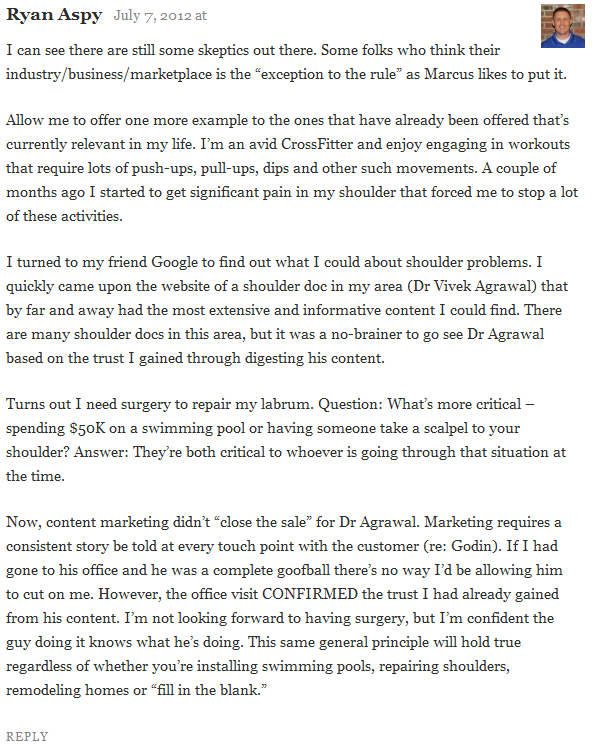 But in the example a few images above, Ryan Apsy and his shoulder pain found a Doctor who blogged about shoulder problems in his city. Depending on your average bill of sale or the lifetime value of a client, the ROI on even 5 people doing business with through your blog is massive. I’ll leave you with this. 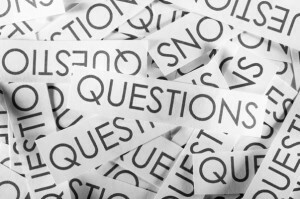 Write down every question you can think of when it comes to your business or service. Then get blogging!